People seek massage for prevention, relaxation and alternative support for disease, injury and medical complications. 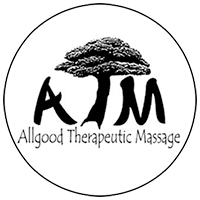 A contraindication indicates that a client having a health concern, medical condition, or injury would potentially become worse, or further injured, if the applications of bodywork, in this case Swedish massage, were actually applied. Contraindications exist for every modality. These listed in this section describe the general categories, with some specific and common examples for Swedish massage and massage general. Contraindications can be full body, partial or both. When in doubt, you may be asked to consult your physician prior to receiving massage or bodywork. Increase circulation and an lymphatic flow, which harm the client because the condition is systemic (affecting the body as a whole) and spreads through the body. Risks the health of the client or therapist because the condition is contagious. Increase lymph and blood flow but will not harm the client because the area of concern is not systemic. A small area of the body is infected or injured. Eliminating massage on this part of the body while still massage other parts of the body will not negatively affect this area. Will not spread to the therapist client, or will not further damage the area, if the area itself is avoided(not touched or massaged). Note: partial areas that are pages, like the rash, should be covered by the client prior to coming in for besides to avoid spreading the disease to the therapist. Contraindications that are both full-bodied and partial imply that a partial contraindication is affecting the whole body and massage should not be performed.